Wired Kingdom is an exhibit and showcase of locally made, digital and electronic art at the Arts Center of the Capital Region, in Troy, NY. 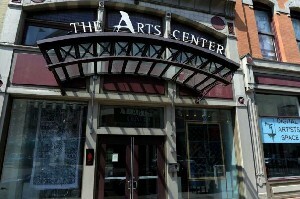 The Arts Center of the Capital Region is accepting proposals for an upcoming onsite exhibit and showcase of digital and electronic art. The exhibit will run September 17th - 29th culminating with an opening , and live performance showcase on September 28th as part of Troy Night Out. Artists currently living in the Capital Region and working in electronic and digital media are welcome to submit proposals for the two week gallery show, and/or short performances to be presented/screened/played on the evening of the 28th. Works which feature some interactive component are highly encouraged. Questions? Call (518)273-0552 ext 233.